This fall, Daytona Beach will host nearly 125,000 motorcyclists who roll into the area for a multi-day, annual event called Biketoberfest®. The extended weekend event is full of fun, food, live music, motorcycle shows and rallies, scenic rides along A1A, and plenty of time to kick back at the beach. Plus, there will be racing at Daytona International Speedway, as well as an array of vendors offering everything from the latest models to parts and accessories. Start planning now to ensure you get the accommodations you want for this popular weekend. For more than 50 years, the Halifax Art Festival has annually celebrated emerging artists and craftsmen specializing in watercolors, oil paintings, basket-weaving, home goods, jewelry-making and so much more. Named a Top 200 festival by Sunshine Artist Magazine, the event draws around 40,000 people each year and features 250 juried artisans from all over the nation. Whether you are an art enthusiast looking for a new piece, want to discover an antique treasure, or simply want to come enjoy the live music and festival food, you’ll find it here. All ages will enjoy Central Florida’s premier art event — don’t miss out! Opa! This locals-approved event at St. Demetrios Greek Orthodox Church has been a favorite for over 40 years, and offers visitors and locals the chance to live like a Greek for the day. Enjoy costumed Greek dances, fresh-from-the-oven foods and traditional Greek music. The event even features a Greek Marketplace with handcrafted souvenirs and Greek-themed gifts. You can also find your favorite Greek cuisine to take home and share. WHEN: November 17-18, 2018, from 10 a.m. to 5 p.m.
Peruse fine-art exhibits presented by over 150 juried artists who specialize in a variety of media, including painting, sculpture, leather, photography, wood, ceramics, fiber, glass and so much more. Come see DeLand blossom with color and bright spirits, and then soak in the entertainment and live music. 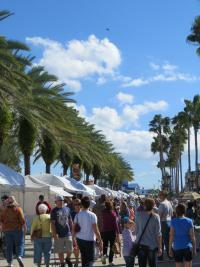 The DeLand Fall Festival of the Arts is proud to be voted “Best Florida Outdoor Fine Art Festival” by Florida Living! 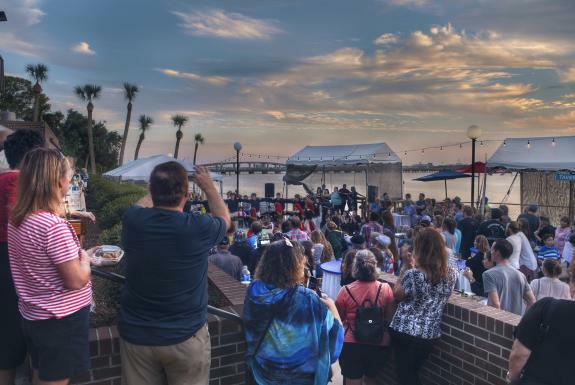 Celebrate the coastal lifestyle and all things water at the 10th Annual Riverfest Seafood Festival. Take a bite out of freshly caught fried fish; let the little ones participate in the annual kid fish clinic; sip on a craft beer as you sit and listen to live music; or expand your mind with an educational eco-life presentation. There will be good food, great memories and riverfront fun — and the event is FREE and open to the public. View show-quality cars from around the country, find a beautifully restored classic, and lay your eyes on customized foreign cars — it’s all happening at the 45th Annual Daytona Turkey Run! As the largest combined car show and swap meet in the United States, the Daytona Turkey Run has everything the car enthusiast needs. From accessories to hard-to-find parts to classic cars, the discoveries are endless. This family-friendly event is presented by Daytona Beach Street Rods in the infield of iconic Daytona International Speedway. Well, have you started packing your bags yet? With this fabulous line-up of festivals, you won’t want to wait to plan your trip. Start planning your fall getaway today!